When talking about the top recruits on the West Coast, and the entire country for that matter, the name Jules Bernard from Windward (Los Angeles, CA) must be mentioned during the conversation. Ranked No. 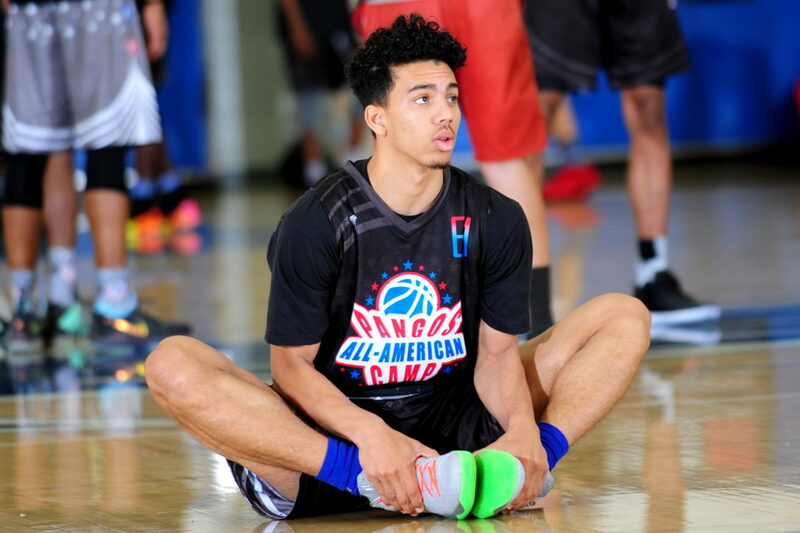 25 in the Class of 2018 by Nothing But Net Magazine, the 6-foot-7 guard can seemingly do it all. Long and athletic, also determined to succeed, there are very few weaknesses in his game. On the offensive end of the floor, Bernard is as close to finish product as there is on the prep circuit. At least, that seems to the consensus from college coaches, also the recruiting services gurus. Inside or outside, he can score from anywhere. Whether it’s slashing to the basket, taking an open or contested jumper, with range beyond the three-point arc too, Bernard can fill up a box score. A willingness to hit the glass and rebound is another good trait. A renewed focus on defense has only strengthened the growing reputation. With a well-rounded skill set, his potential is limitless. 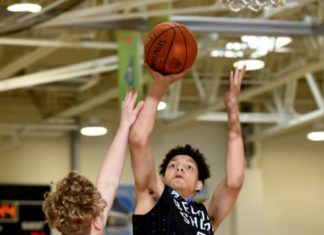 Accordingly, Bernard has close to 20 offers and his list compares favorably to well-known peers Romeo Langford from New Albany (IN) and Quentin Grimes from The Woodlands (College Park, GA). Bernard has averaged double-digit points each year at Windward, 10 as a freshman, 23 as a sophomore and 25 as a junior. As one can imagine, expectations will be particularly high moving forward. 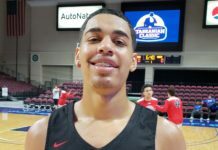 The powers that be, namely scouts, likely saw a glimpse of the future when he did well at this year’s Pangos All-American Camp and was in the running for the event’s Most Outstanding Player. No surprise thereafter, it was more of the same at the NBPA Camp. With many of the nation’s best in attendance, Bernard did not back down from anyone or anything. He rose to the challenge. 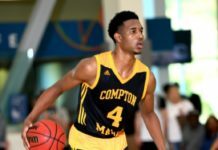 Also worth mentioning, on the grassroots scene with the Compton Magic, he averaged more than 20 points and led his team to a Creators Cup title at the adidas Summer National Championships. 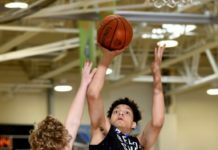 The eye-opening efforts spiked interest and everyone in the Pac-12 Conference would like nothing more than to keep him close to home for college, with UCLA in front and Oregon looming large. Still, that didn’t stop the likes of Kansas and an offer from the Jayhawks was seen as a game-changer. Georgetown, Miami, Oklahoma and UNLV are among many others in the mix for a commitment. Where he ends up at the next level is anyone’s guess. This is certain: Bernard is one of the best in the business, regardless of whether you’re in the East, West, North or South. And all points in between.